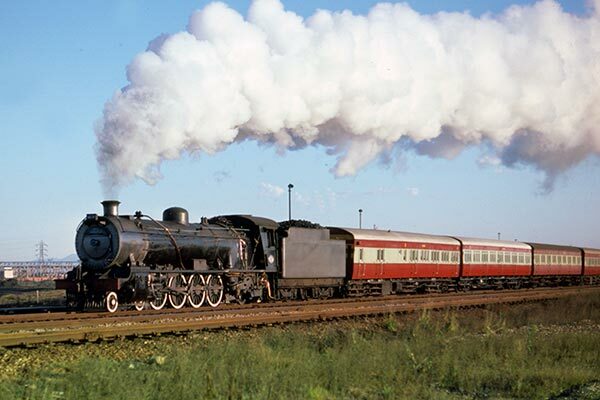 Caption - South African Railways (SAR) 15AR class 4-8-2 no. 1858 is seen at Swartkops near Port Elizabeth with a suburban train from Uitenhage in May 1976. These multi-stop services were tightly timed and led to some remarkable performances by the crews. Sadly, in 1976, the 15AR's had recently taken over the remaining class 16CR Pacific workings.